This was my birthday cake. I’ve been wanting to make this for months. 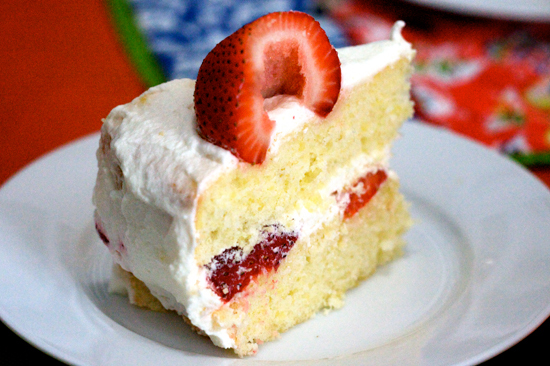 Unlike the American version with a buttery biscuit, the Japanese version is a layered sponge cake, the whipped cream and strawberries sandwiched in between.